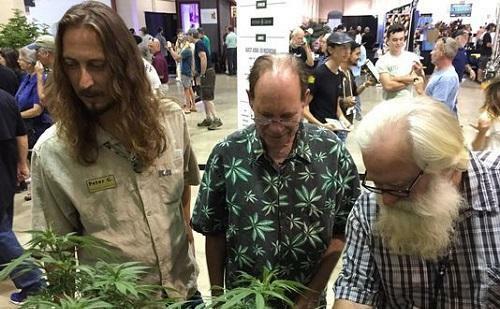 Salem, Ore. — Nine living marijuana plants will be displayed at the Oregon State Fair in a first of its kind event for the United States starting next Friday. The exhibit of the non-flowering, immature plants brings pot cultivation more into the agricultural mainstream less than two years after Oregon voters legalized recreational marijuana. The Oregon Cannabis Business Council, which organized the exhibit, says it’s the first time live cannabis will be shown at a state fair anywhere in the U.S. The group last year had an informational booth about marijuana at the fair and there were no complaints — a key factor in allowing them to go one step further and offer live plants for viewing this year, said Dan Cox, spokesman for the Oregon State Fair.